There seems to be no compelling reason to argue that the financial crisis of 2007-08 has significantly contributed to the deepening of centre-periphery based development issues in the European Union. It has become evident that globally, the economic and political role of the EU is in a significant decline. The world’s most opened economic integration was facing a severe market crisis including a so-called double-dip recession period between 2008-2009 and also 2011-2013 with slight regional differences. The development and economic growth of transition economies within the European Union are definitely representing a special case. During the recent crisis, the above-mentioned countries have been dealing with several socio-economic difficulties raising significant financing needs towards the IMF. 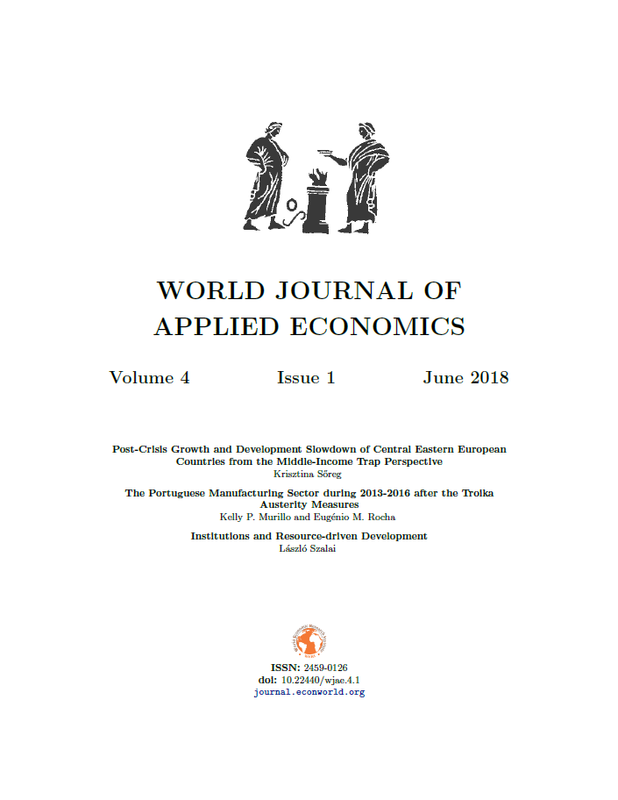 It can be assumed that the long-standing structural problems of the post-Soviet countries combined with the latest protracted recession have created a middle-income trap related situation in the examined region. In this paper, the discussion centres on the case study of Hungary, a country which has come a long way to be integrated into the EU, however, from the mid-2000s no converging tendency can be observed towards the old Member States.